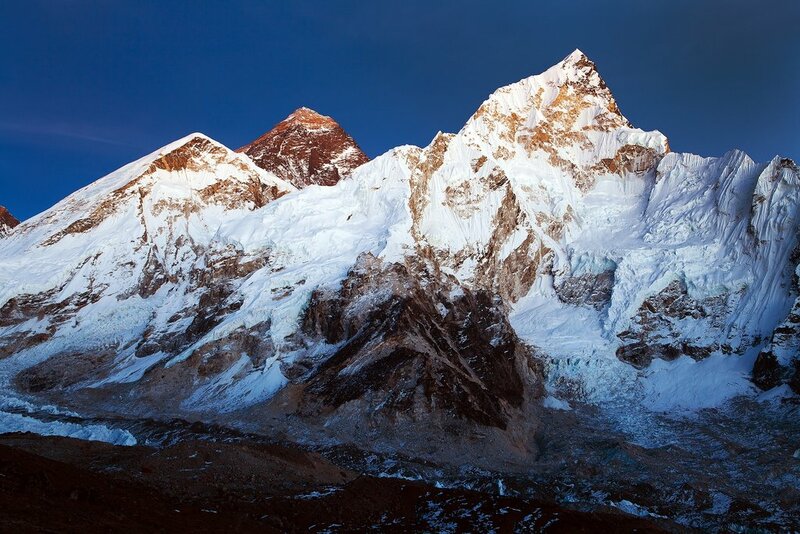 Sagarmatha National Park in the Everest region offers up some of the highest treks in the world. To help decide which trek is best for you, here's a list of the main trekking routes with the duration and highlights for each route. Each route has great views, so which one you choose largely depends on your time frame, budget, and appetite for adventure. Everest is the drawcard, but once you start trekking you'll realize that there's much more to the Everest region than its iconic peak. There are three separate valleys to explore, each with equally impressive views, giant snowy peaks, and beautiful villages. Even if Everest wasn't here, the region would still boast some of the best trekking routes in the world. All of the treks listed here start from Lukla (or below) and head north to the village of Namche Bazaar. From there, you can either head directly to Everest Base Camp or take one of the other two valleys. As with all treks in Nepal, the duration and route can vary depending on what you're looking for, how fast you trek, and the kind of experience you'd like to have. For the best experience, we strongly recommend exploring these various ways for getting off the beaten path in the Everest region. You can also consider staying in luxury lodges for part (or all) of your trek, to enjoy a bit of comfort after a hard day's walk. If you're short on time but looking to catch a glimpse of Mt. 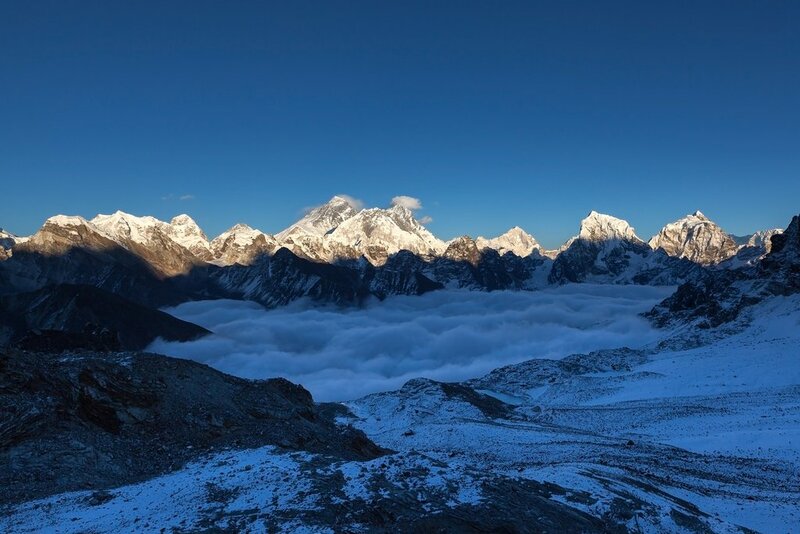 Everest, there are a range of short treks in the Everest region which provide a great feel for what trekking in the Everest region is all about. From Lukla, you'll ascend to the famous trading town of Namche Bazaar, and then branch off to one of the smaller communities of Tengboche, Thame, or Dingboche, before descending back down toward Lukla. 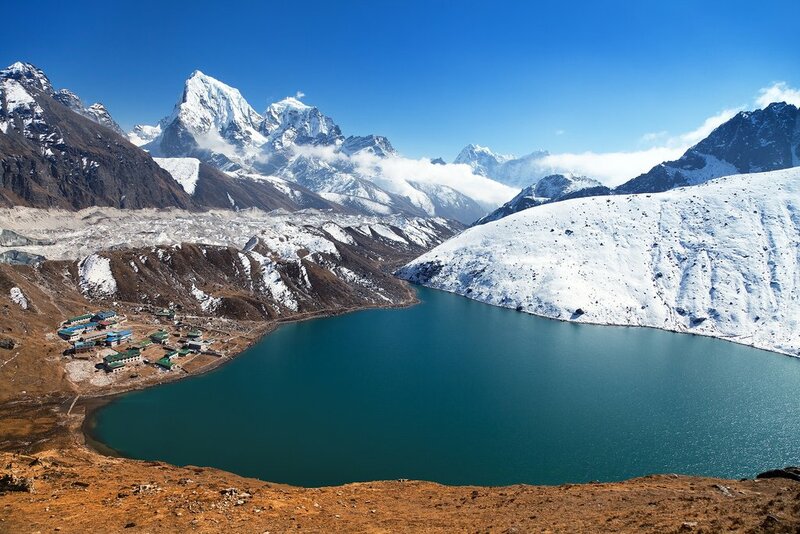 Gokyo Lakes trek is the second most popular trek in the Everest region (after Everest Base Camp) and takes you up a parallel valley to the small lakeside village of Gokyo and then onto a series of remote lakes even farther up the valley. Depending on how much time you have, you then have the option of returning back to Lukla the same way or crossing over the Cho La pass (17,782 ft / 5,420 m) to join up with the classic Everest Base Camp trek. If you have the time, a visit to these stunning high-altitude turquoise lakes is well worth the journey. 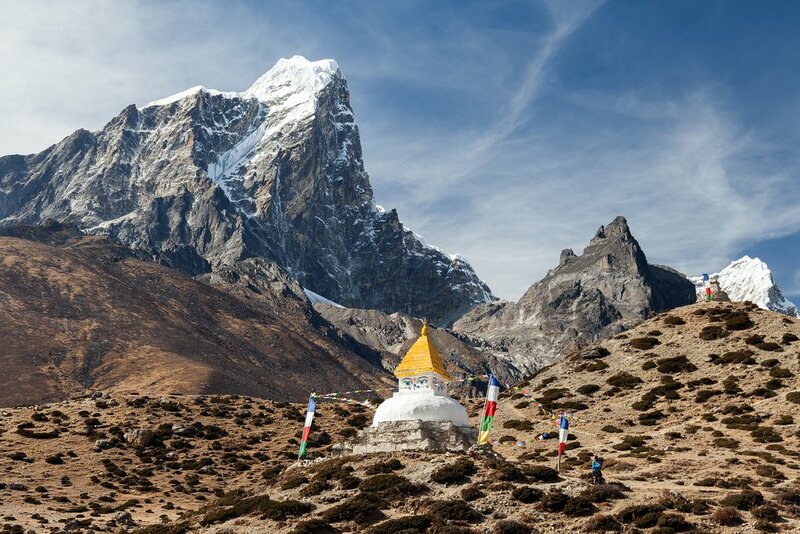 Nepal's most famous trek, the Everest Base Camp trek follows a well-established trail, winding its way up the river valleys, along the glaciers, until finally, you reach the foot of Mt. Everest from where all expeditions on the south side of the mountain begin. If you go in the spring, you'll find the glacier buzzing with dozens of expedition camps. Although reaching Everest Base Camp is everyone's goal, the villages and viewpoints along the way are the real rewards. The Three Passes trek combines all of the highlights of the other treks in the Everest region into one single challenging adventure. 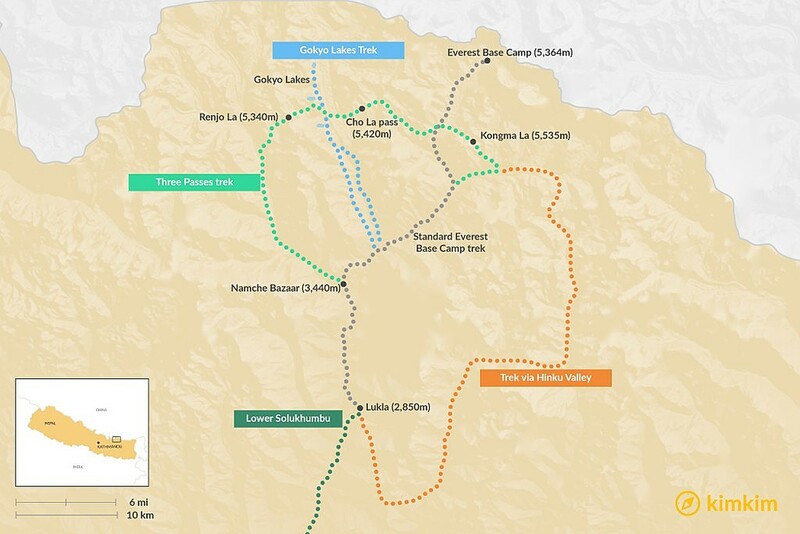 The route takes you on an entire loop of the Sagarmatha National Park, passing through all the great viewpoints, villages, and highlights along the way. 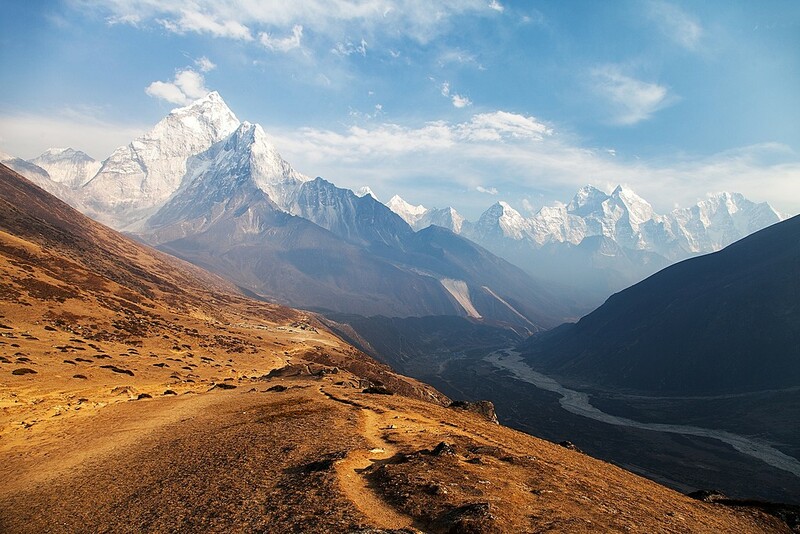 The trail takes you off the beaten path into the more remote valleys adjacent to the main Everest Base Camp trail. Be ready for some serious hiking and high-altitude mountain passes, as you'll be crossing over three passes, all above 5000m: Kongma La, Cho La, and Renjo La. Nepal also offers the chance to have the experience of climbing up to 6000m+ in relative safety, on one of Nepal's climbing peaks. 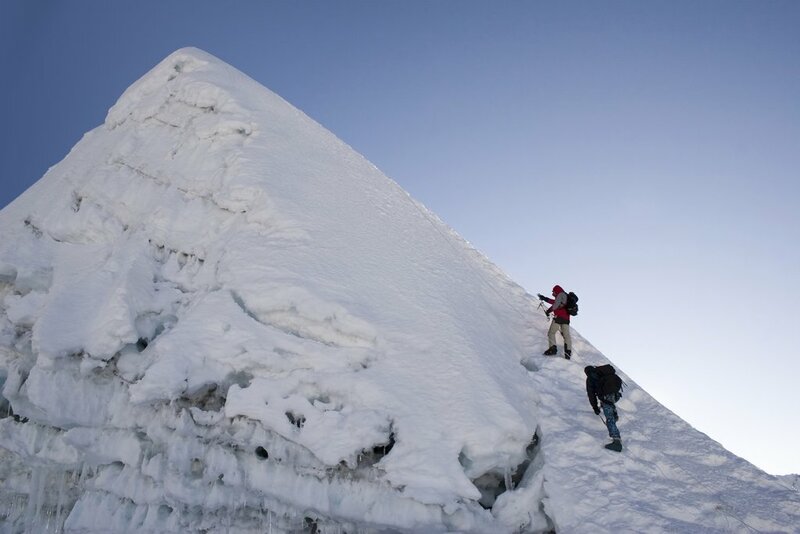 There are a number of peaks in the Everest region, most notably, Island Peak, Mera Peak, and Khayu Ri. 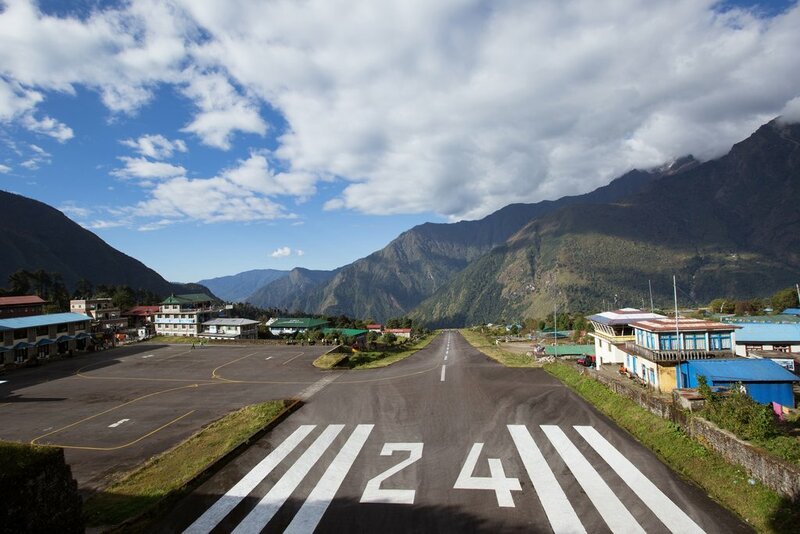 Most travelers fly from Kathmandu to Lukla (45-minute flight), where you start the climb toward Namche Bazaar (usually done in two days). 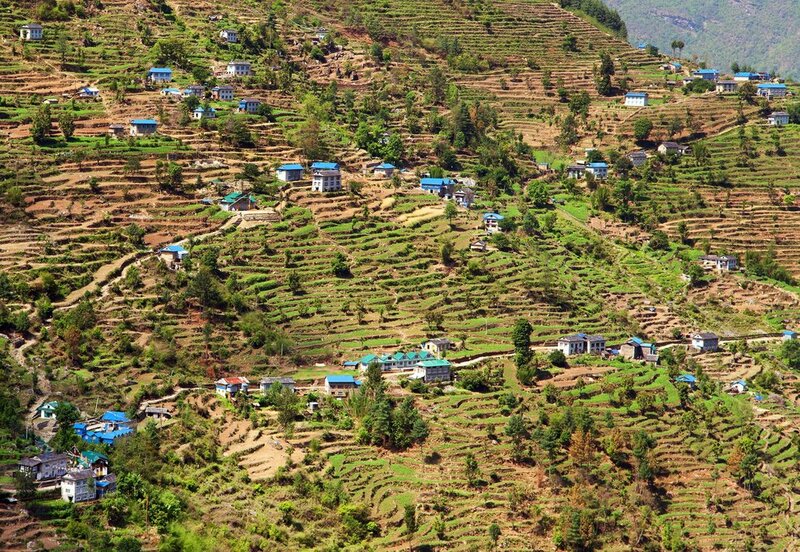 Alternatively, if you have more time and are interested in village life, it's best to start your trek from Jiri or Salleri, four days walk south of Lukla. To reach Salleri, you'll need to take public or private road transport from Kathmandu. Starting your trek from Salleri or Jiri is a great option if you have the time. Alternatively, you can drive to Jiri or Phaplu. 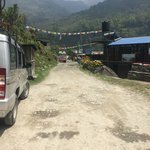 Both drives take a full day from Kathmandu and cause your trek to start much farther away from the mountains than Lukla. 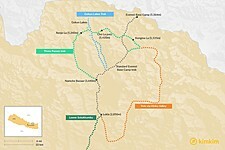 Starting in Jiri adds about 5 days of trekking to your route, while the trailhead in Phaplu is about 3 days from Lukla.